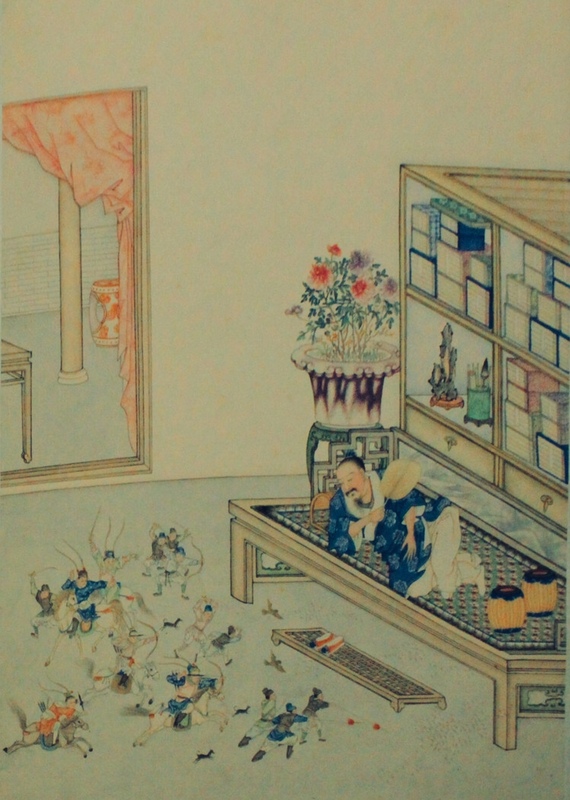 ‘The Midget Hound’ 小獵犬 is the first in a new series of translations by John Minford from the stories collected in Pu Songling’s (蒲松齡, 1640-1715) Strange Tales from a Chinese Studio 聊齋誌異. 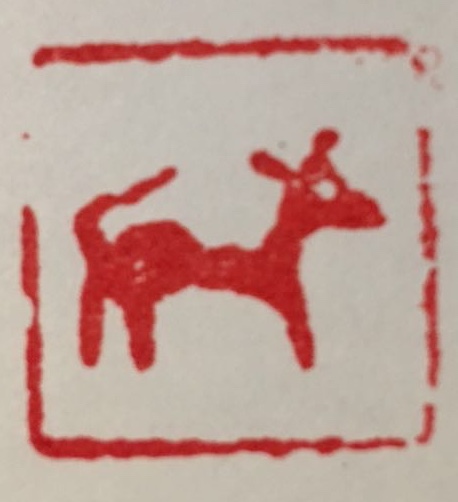 It is an addition to ‘Dog Days 2018’ (for more of these, see New Sinology Jottings 後漢學劄記) and the latest in our Wairarapa Readings 白水札記. 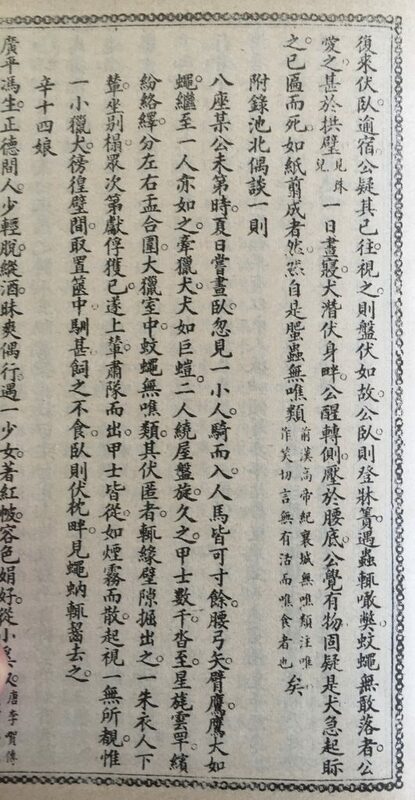 For the convenience both of the general reader, and of the interested student, the story is presented first in English translation and then in the form of an English-Chinese parallel text. Finally, after an interval of about twenty years, the time has seemed right to begin work on a second batch of Pu Songling’s classic tales, here amid the tranquil autumnal surroundings of The Wairarapa, in the newly re-established library of Three Dog Hall 三犬堂. 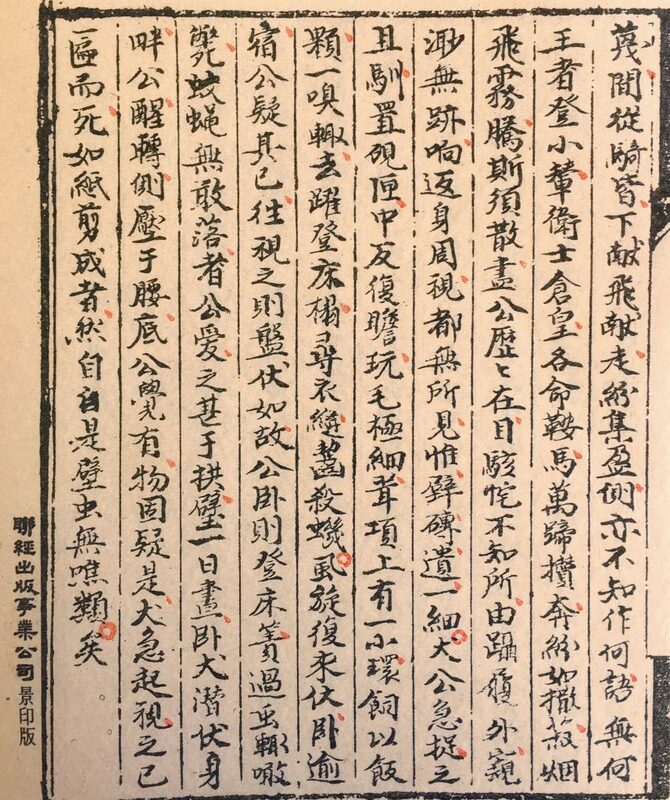 There are over five hundred tales in the original collection, of which 104 were included in my first volume of translations (Pu Songling, Strange Tales from a Chinese Studio 聊齋誌異, translated and edited by John Minford, Penguin Classics, 2006). Here to start the second collection is a touching little gem for dog-lovers. 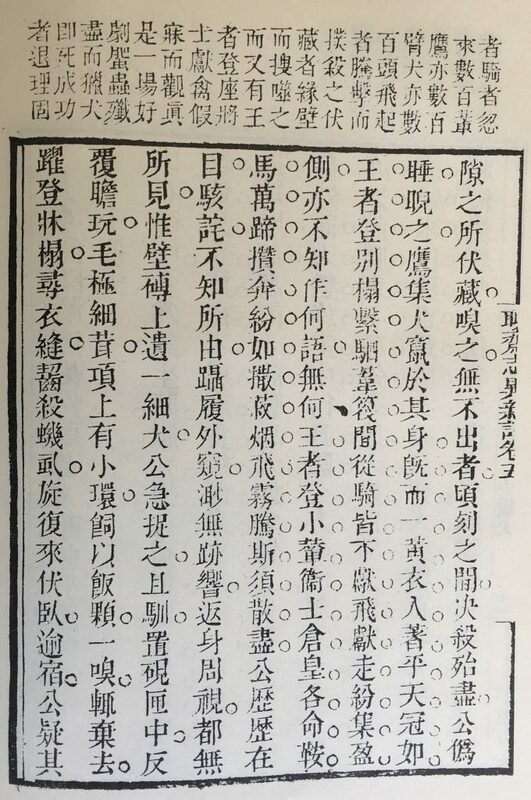 Accompanying it below is the text of ‘The Midget Hound’ 小獵犬 from an old edition of Strange Tales (if ever a book deserved to be savoured in a fine edition redolent of the old-style Chinese Studio 書齋 it is surely this collection of tales written for fellow literati). These pages come from the mid-eighteenth-century transcription of the Tales made more than three decades after the author’s death in 1715. It is known as the Snow Smelt Studio Edition 鑄雪齋本 and it is reproduced from the beautiful facsimile issued in 1981 by Lien-ching Press 聯經事業出版公司 in Taiwan. 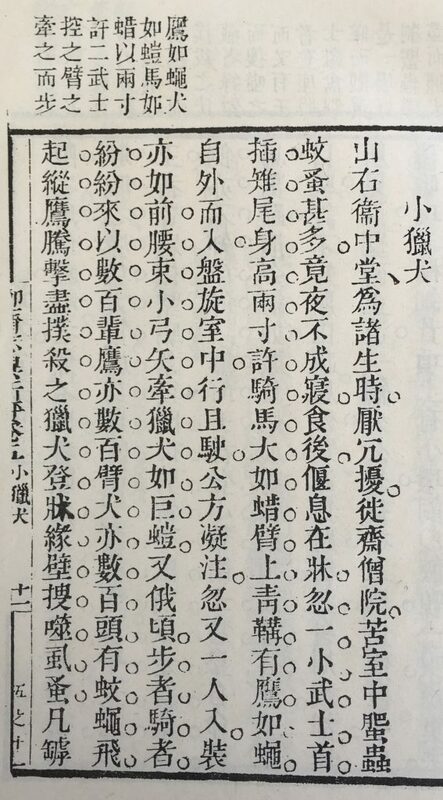 Following the translation — and the Dog Seal — two more print versions of the text are reproduced: one with a commentary by Dan Minglun 但明倫 dating from 1842 (the Daoguang 道光 era) and the other, 詳注聊齋誌異圖詠, with various commentaries and illustrations is from 1891, in the Guangxu 光緒 era. 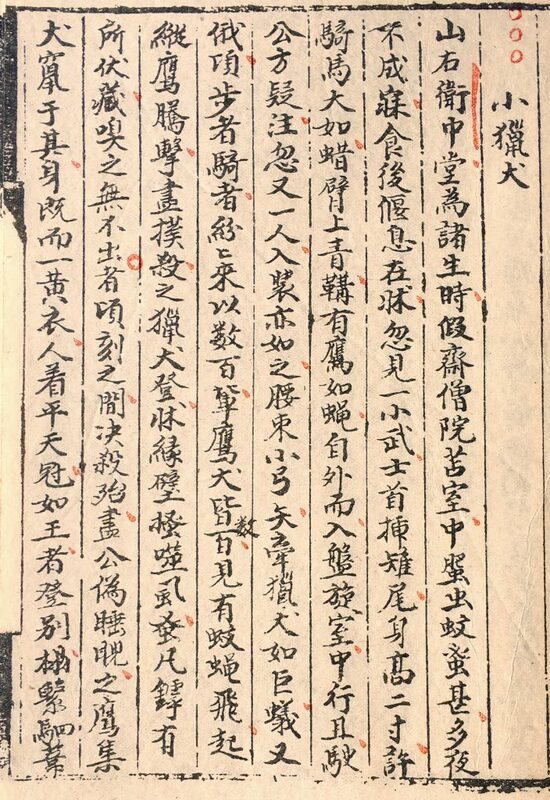 John Minford and Tong Man 唐文, ‘Whose Strange Tales?’, East Asian History, Nos.17/18 (June/December 1999): 1-48. 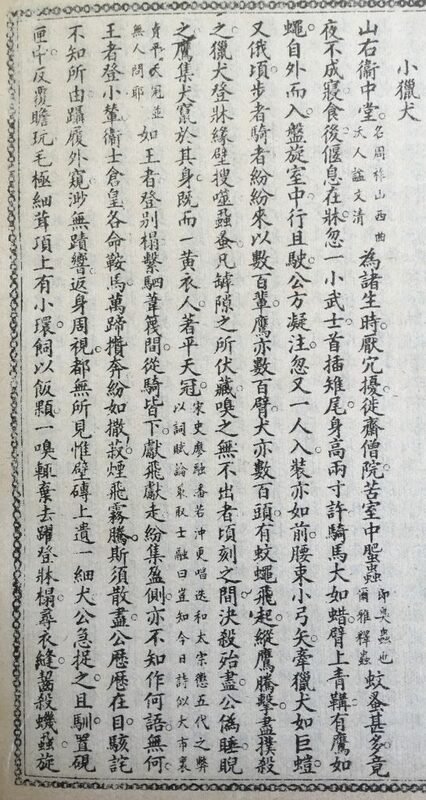 Grand Secretary Wei of Shanxi, when he was a young graduate, installed his study in a temple to avoid domestic distractions. But his lodgings there were so infested with bedbugs, mosquitoes and fleas, he was unable to sleep a wink. One day, he was trying to rest on his bed after his meal when he saw a midget man-at-arms, two inches high, with an array of pheasant plumes in his hair, come riding into the room on a tiny horse the size of a grasshopper. The man wore a black hunting-gauntlet on one arm, on which perched a hunting hawk the size of a fly. He went whirling round the room at a smart gallop. Wei was still staring at this first apparition, when suddenly he caught sight of a second, another huntsman dressed in similar fashion but this time on foot, and with bow and arrows strapped to his waist, leading on a leash a tiny hound the size of a large ant. Seconds later the room was overflowing with huntsmen, some on foot, some on horseback, with eagles and hounds in their hundreds. If a mosquito or a fly so much as ventured to fly across the room, they would release one of their hawks and had soon exterminated every one of the pests. The hounds meanwhile clambered onto the bed and up the walls, sniffing out bugs and fleas, ferreting them out of every nook and cranny. In next to no time, these pests too were all destroyed. Wei feigned sleep, but continued to watch out of a corner of his eye. The hawks now descended on his body in a swarm, while the tiny hounds ran hither and thither all over him. Then a man dressed in yellow entered, wearing a king’s crown, with strings of jade dangling from it front and rear. He rode up onto the other couch, and tethered his horse to the rush mat. His retainers now dismounted and presented their lord with the day’s takings, of both flying and crawling species. They gathered around him in confabulation, but Wei was unable to make out what it was they were saying to one another. Presently the king climbed into a little carriage, while his men bustled about giving orders for their horses to be made ready, and off they all went, with a great clattering of hooves, like a scattered shower of beans, and had soon vanished like mist or clouds. Wei watched all of this as it happened before his eyes and was at a complete loss what to make of it. He put on his shoes and went to peer around outside, but there was neither sight nor sound of them. Returning and looking around his room he could see no trace either – save for a single tiny hound left stranded on a brick in the wall. He picked it up at once and finding it to be quite tame, placed it in an ink-stone container, studying it the while at his leisure. It had a fine down-like coat, and a tiny collar round its neck. He gave it some grains of rice to eat, but the dog took one sniff and rejected them. It leapt up onto the bed and started searching in every seam of Wei’s clothing, killing every bug it found. Having completed its tour of duty, it returned and lay down to sleep. The next morning, Wei was afraid it might have disappeared: but there it was, lying curled up as before. Whenever he slept, it climbed up onto the mat, and set about devouring bugs. From that day forth not a single mosquito nor fly dared land in the room. Wei became very fond of the little hound, and came to treasure it greatly. Then one day when he took a nap during the day, the hound lay down next to him. When he awoke he turned his body to one side and crushed it beneath him. Wei felt something and fearing it must be the hound, he lifted himself up to look and saw the creature lying flattened on the bed, lifeless as a paper-cut. But from that day on, his room was free from insects of any kind.